Marbella Te Quiero will travel with a selected group of businesses to Moscow from the 28th till the 31st of May to promote Marbella in Moscow. They also visited Riga, Latvia earlier this year and the next destination is Russia. i-Marbella's one and only founder and photographer Johnny Gates will join them to report from there. i-Marbella talked to Muriel Rens, one of the organizers, about this exciting trip! 1. When and why are you going to Moscow? Marbella te Quiero will travel with a selected group of businesses to Moscow from the 28th till the 31st of May to promote Marbella in Moscow. The Marbella businesses will have the opportunity to interchange business projects with Russian counterparts and to meet VIPs during a business breakfast in the Marriott Aurora Moscow Hotel on the 30th of May where we will show the great investment opportunities on offer in Marbella and the Costa del Sol, as well as the luxury holiday destination which is Marbella all year round! We will show a video with spectacular views of Marbella and the Costa del Sol and each participant will have the opportunity to present his/her business to 100 guests. 2. Who are coming with you? For example Hotel Villa Padierna, Alemar Realty, Clinica Amar, Ms Elisaweta Wall, Konsilia International Tax and Legal firm, Top Boats Sotogrande, Tramontana Corp, S & L Soluciones, Soluciones y Construcciones Reman SL, Krilenko SL, Joyeria Manuel Spinosa, Linda Magazine, i-marbella.com/i-marbella.ru represented by Johnny Gates and last but not least Ms Natasha Romanov. 3. What are your plans in Moscow? 4. How difficult is to organize a trip to Russia? If you want to travel to Russia, you need to plan your trip well in advance, as EU nationals need to apply for a visa. Oscar Horacio went 2 weeks in advance to Moscow to make sure everything is organized before the group arrives, which is hard work with meetings all day long in the largest city of the European continent. The new Moscow surprised him: luxury shopping galleries everywhere, even on the Red Square! Everything shows that this is a booming city whose people want to escape the long winters to…. the best touristic city in the world…. Marbella!! Therefore we are convinced that our trip will be a success! 5. Why did you choose Moscow as your destination? All Muscovites love the Costa del Sol, and we will convince those who do not know Marbella to holiday and invest in our City. Natasha Romanov is a very close friend of Oscar Horacio and she is helping him a lot by inviting her VIP friends to the business breakfast in one of the best hotels of Moscow, the Marriott Aurora. Marbella te Quiero does not organize a fair, which usually attracts curious people who just look around and take home lots of pamphlets. Our showroom and breakfast on the other hand will be attended by the decision makers of the companies and VIPs of Moscow. 6. Where else are you travelling this year? 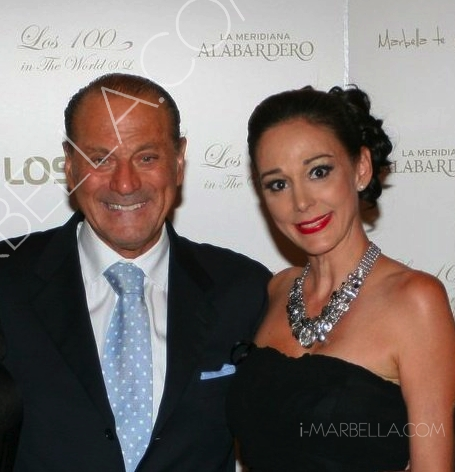 Marbella te Quiero will continue promoting Marbella and the Costa del Sol in this way all around the world. During the following months we will visit: Bilbao and Barcelona to start with; Tallinn, Estonia; Oslo, Norway; St Petersburg, Russia; Washington DC, USA and finally Buenos Aires, Argentina on the 21st of September which is the first day of spring over there. It is the ideal moment to invest in the Costa del Sol real estate wise; and the climate and lifestyle are the best! We will show everyone how important it is to spend your holiday and invest in Marbella and in the Costa del Sol! We have no doubt that we will make great contacts!